Football Psychology: Wayne Rooney – The Gift! Martin Perry 11th October 2016 11th October 2016 Comments Off on Football Psychology: Wayne Rooney – The Gift! He announced himself in 2002. A supremely confident sixteen year old. A teenager in a mans body. Right then, everything seemed possible for Wayne Rooney. 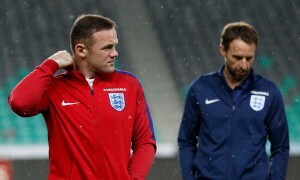 Fourteen years later, having been jeered by the Wembley crowd, he finds himself dropped from the England team. No longer a potent attacking force, the best days appear to be behind him. There are many talented players that have played the game. But truly gifted players are fewer in number. Cruyff…Maradona…Pele…Messi…Ronaldo…all blessed by The Gift. And all have taken the game to a level that raised the stakes for everyone else. They are the trailblazers…the pathfinders…not following anyone else’s rules. As if messengers on behalf of the footballing Gods. Rooney had The Gift. His early career goals all showed that. And he made an impact at a local level. But he fell short of being a player that became a world game changer. As if something in his character…personality…psychology…prevented that gift from being able to fully release it’s unlimited potential. When you are blessed by The Gift you have to support it with an endless quest and search for self- improvement. Yesterdays performance is not the standard. It’s tomorrows. There has to be a relentless curiosity about the details that give you edge. And a hunger to never be satisfied with what you have achieved. Wayne Rooney has had a good career. But in 2002 when his star burst forth from the footballing firmament, there seemed so much more possible. Only he will know whether or not he did everything in his powers to maximise the gift he was given. Golf Psychology: Rory McIlroy – Motivation! Tennis Psychology: Nick Kyrgios – Bored!